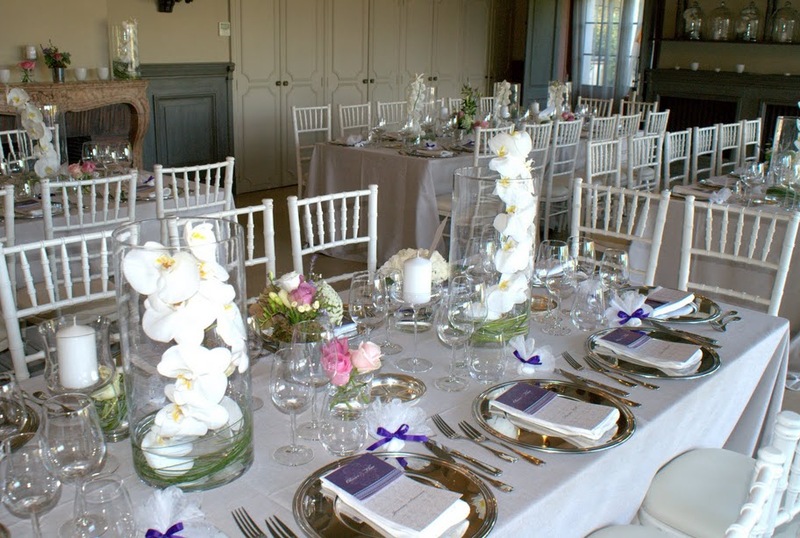 Last week, we organised a beautiful provencal wedding at les Baux de Provence for 100 guests. We were very pleased to organise this wedding, especially because 40% of the guests came from South Africa for this provencal wedding. 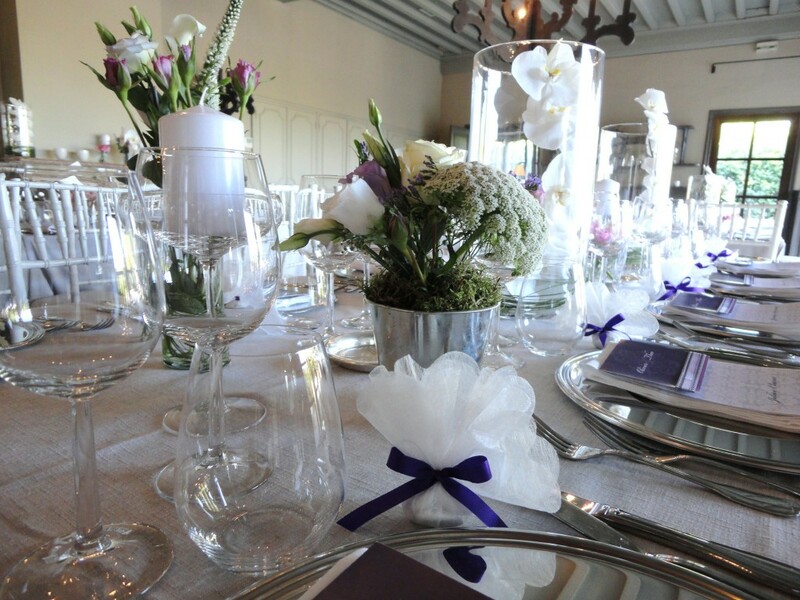 It was a special occasion to do a very romantic decoration and to make them discover how to do a wedding at les Baux de Provence. This provencal wedding took place in a very famous venue at les Baux de Provence. The place is well known because of its beautiful gardens and its perfect food. The reception room is usually used for seminars, so we have to do some decoration to make it more romantic. Indeed, we put some traditional French fabric on the pillars outside on the terrace because they were not very nice, according to the bride’s tastes. The florist did also a great job using many different kind of flowers and candelabras. 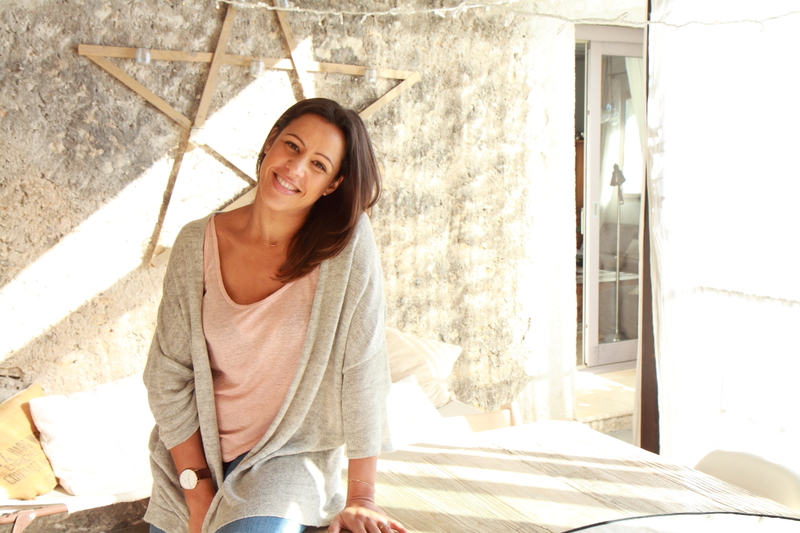 For this wedding at les Baux de Provence, we mixed very romantic and traditional items with much more modern ones. As a matter of fact, you can see on the terrace a beautiful lounge area with modern white sofas and traditional French fabric. 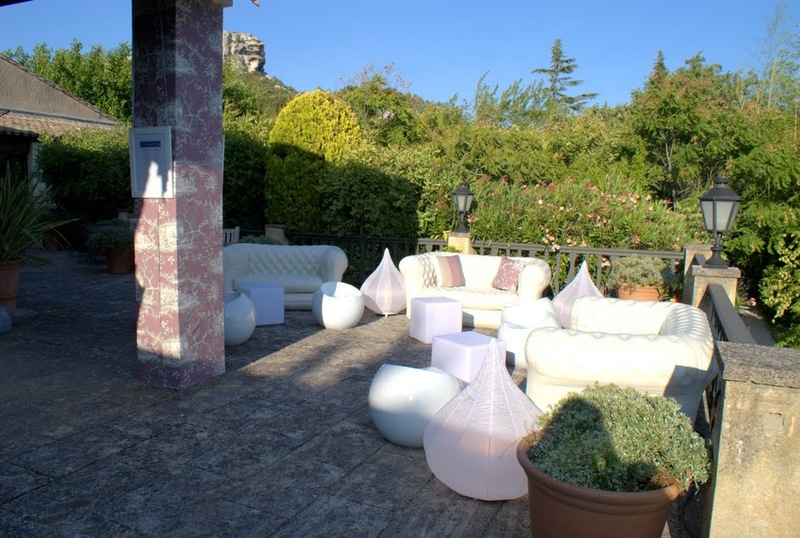 When the guests arrive on the terrace just after the aperitive, we put a buble machine to welcome them. I have to say that the party was really great thanks to the guests. They were so pleased to be at les Baux de Provence for this provencal wedding, that everybody dance until very late ! It really was a great wedding. You managed well the day, full of emotions and happiness. It was a real pleasure to participate to this multicultural wedding where everybody know how to ‘rock the party’.